Summer vacation is the perfect time to reflect one what is on everybody’s mind here in Arizona — water! Whether you have dreams of a cool dip in a pool or sitting beach side as the waves roll in, water is the focus of desert rats leading up to monsoons. If you can’t make it to the water this summer, the next best thing may be to stay indoors to create aquatic dreams. 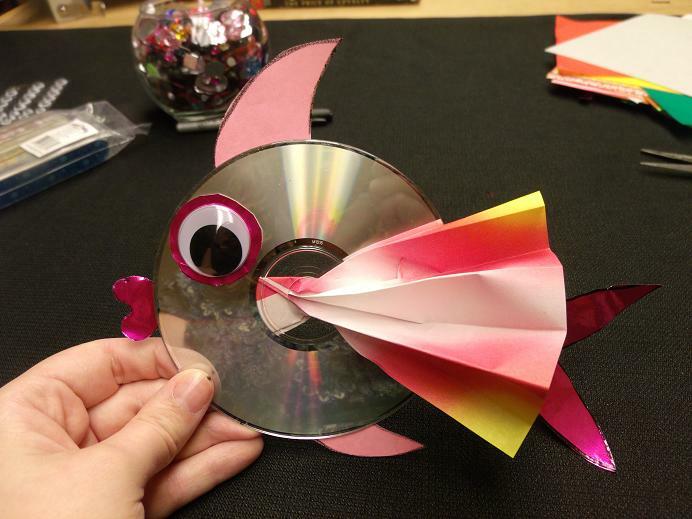 With water on our mind, we wrote up this fishy craft tutorial. Because we are always trying to live green, we made sure to use recycled materials where possible. 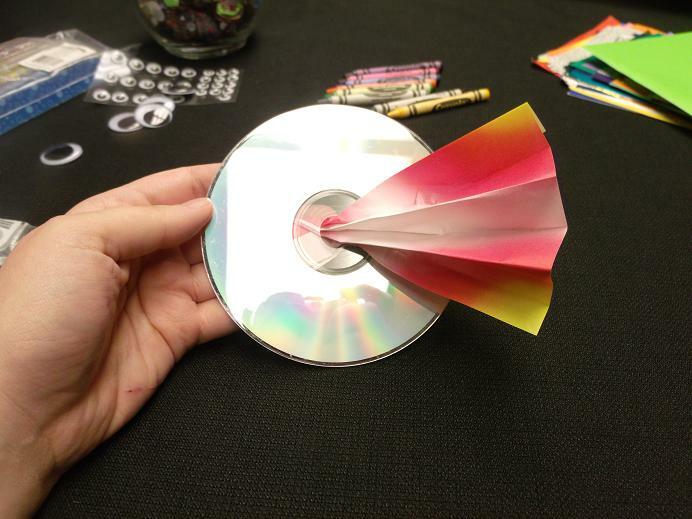 Cut one of your colored papers to approximately 7×7 inches. Fold the paper accordion style. 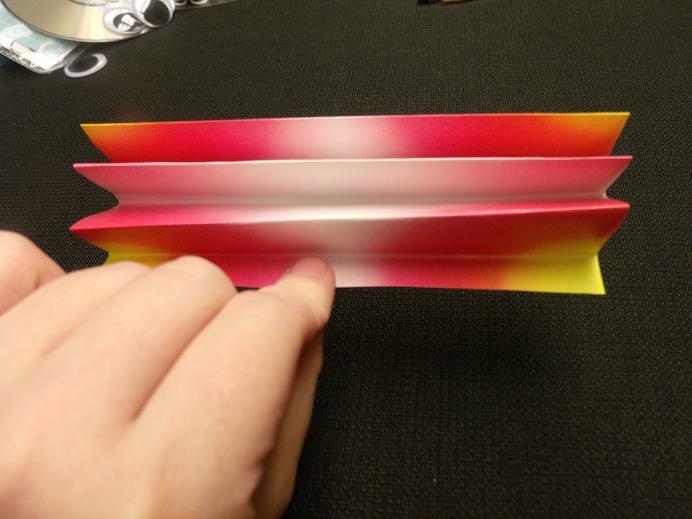 Once your paper is folded, press together one end to make your paper look like a hand held fan. Feed the end you are holding through the center of the shiny side of the disc. 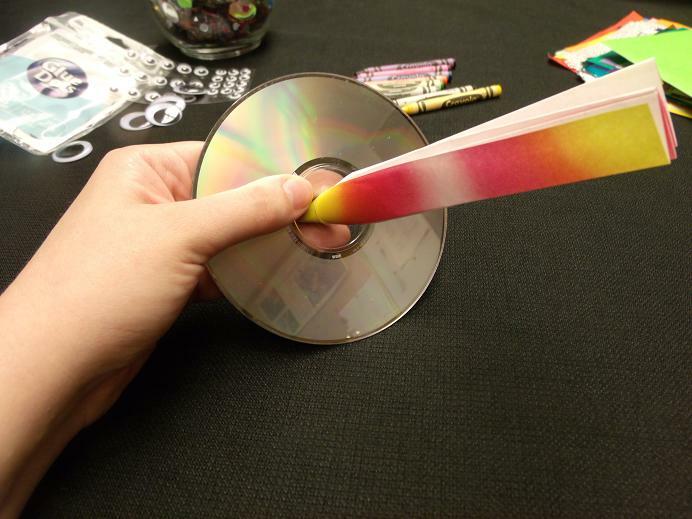 Fold it against the disc and glue the paper to the back of the disk. 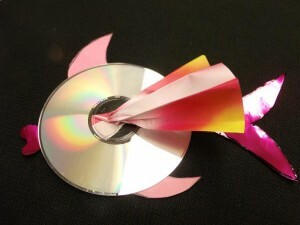 Once the paper is glued to the back side of the disc, turn it around and fan out to make the first fin of the fish. 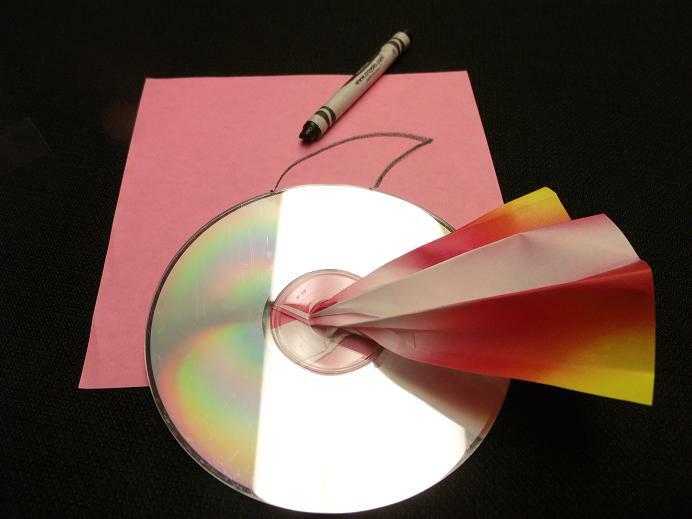 Next, take another piece of colored paper and lay your fish on it. 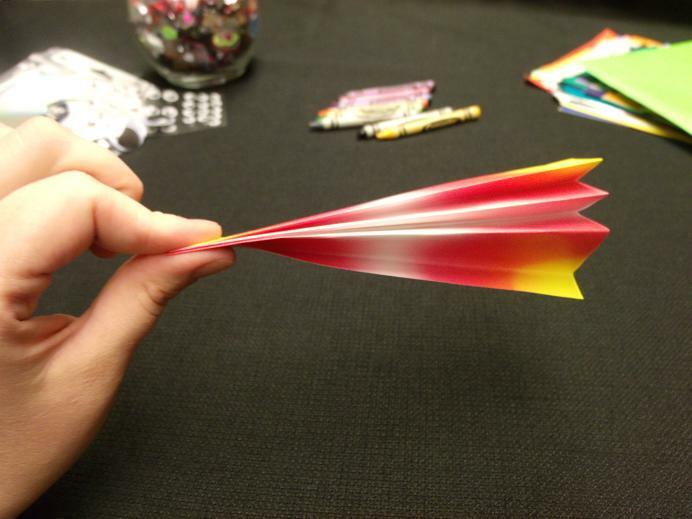 Position where you would like the top fin to be and draw a fin with a crayon. Do the same thing with the bottom fin. The bottom fin should be smaller than the top fin. 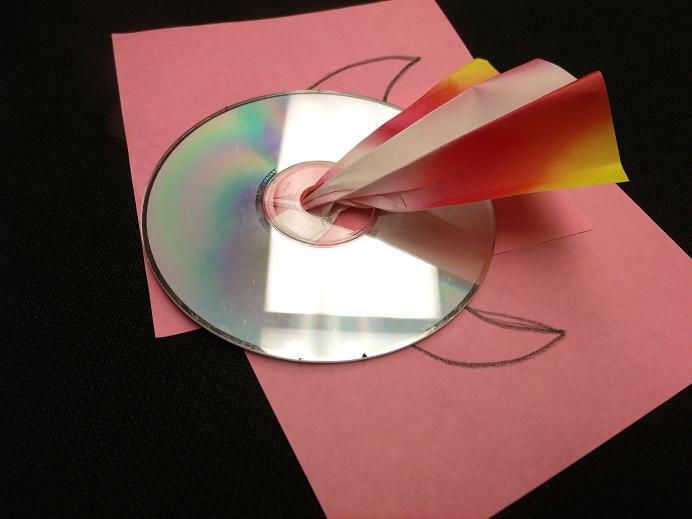 Take one more piece of colored paper and draw a mouth and tail for your fish, as you did the fins. 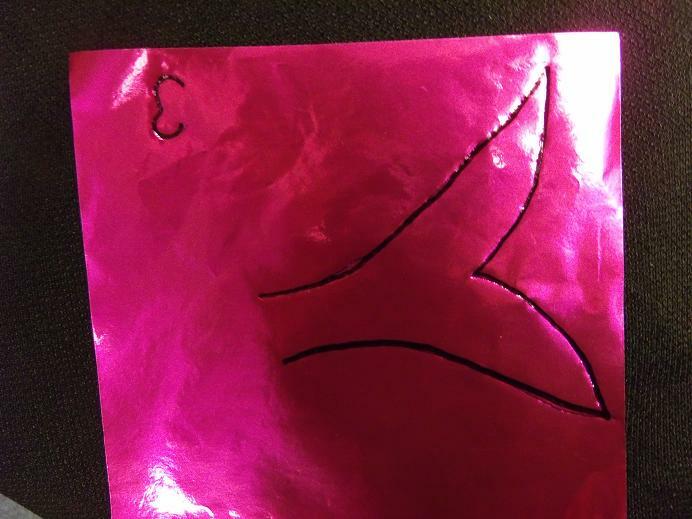 After you have the fins, mouth and tail drawn, cut them out and glue them where you want on the back of the disc. Your disc now resembles a fish; that means you are almost done. The next thing the fish needs is eyes. For an extra pop of color, we added a circle of color behind the fish’s eyes, matching her mouth and tail. Now all that is left is giving your fish some bling. This step is optional. If you think your fish looks complete, congrats! You are finished! We opted to glue a few rhinestones on her fins for extra sparkle. There you have it! 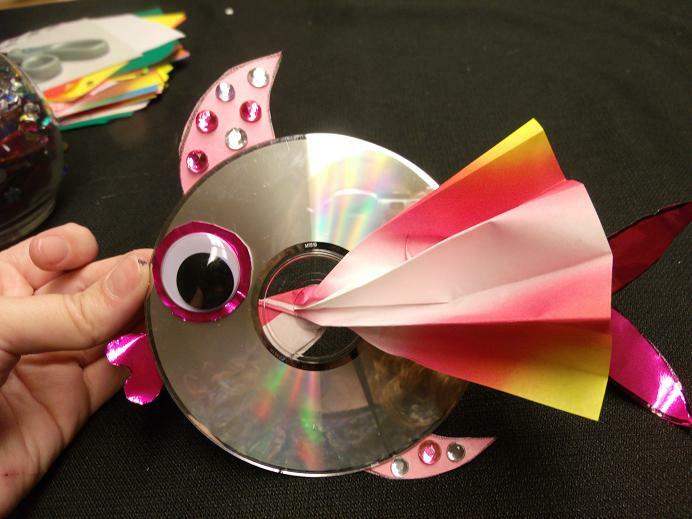 You have completed your own summer fish craft. Hang your fish around the house in celebration of summer. 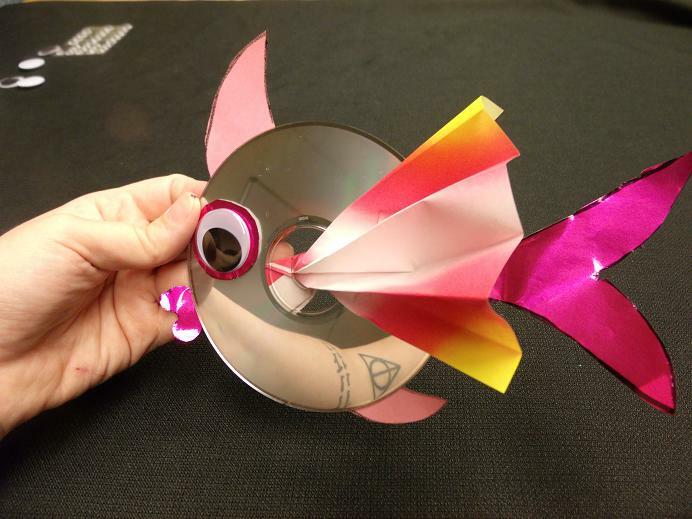 Another option is to glue a popsicle stick onto the back of your fish to create a gorgeous puppet. The possibilities for fun are endless! Every week each one of our stores hosts a number of crafty events. They are always free and family friendly. 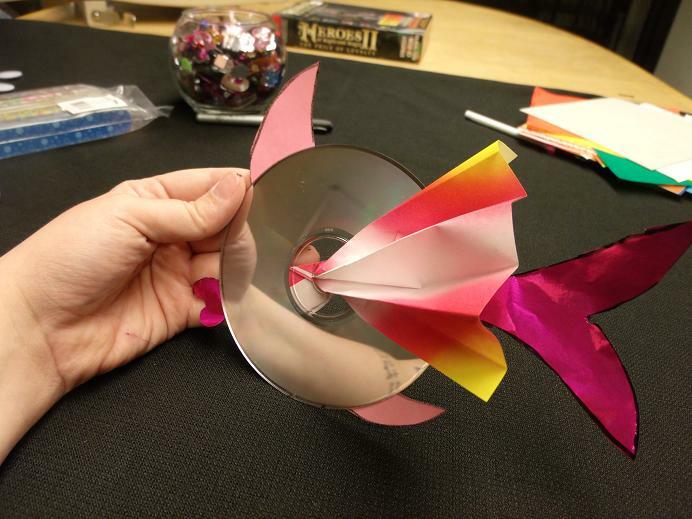 This is a craft we did at Bookmans Ina. 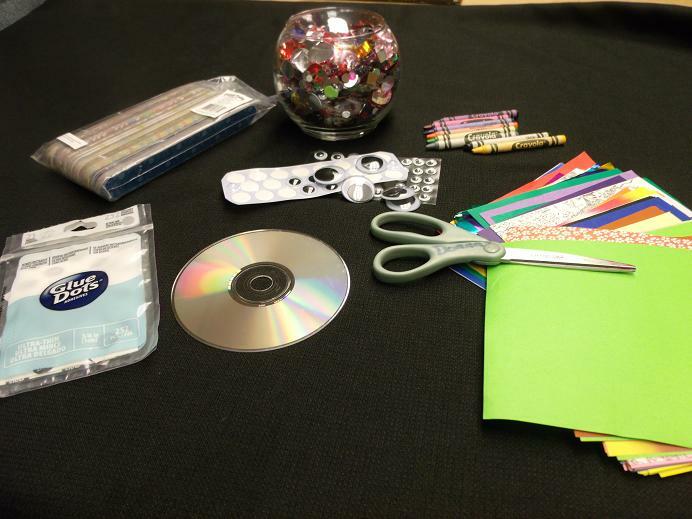 Check out our event calendar to find craft time at your favorite Bookmans location.